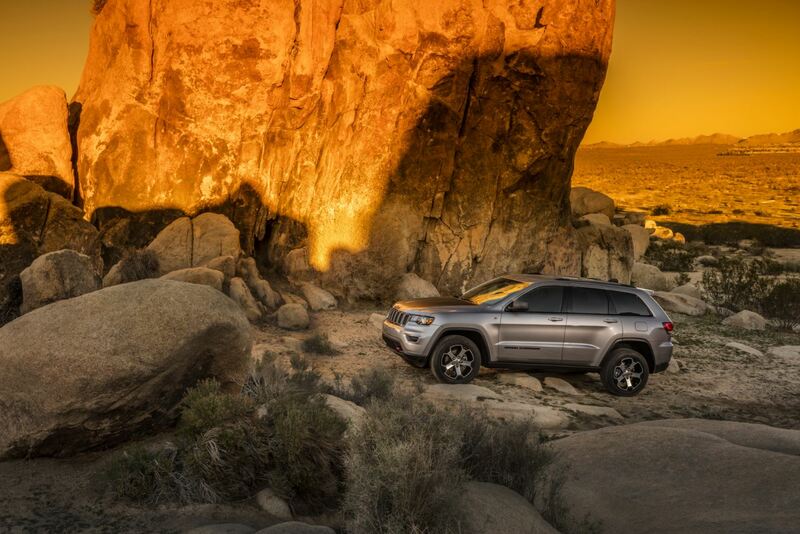 Drive home in your dream SUV with a Jeep lease from V-W Motors in Cooperstown, North Dakota. A car lease can get you more vehicle for your money with little or no cash required at signing, a generally lower monthly auto payment than a traditional car loan. Most routine maintenance and repairs are covered, too, as your Jeep SUV will stay under warranty for during most leases. An auto lease makes less sense if you look forward to customizing your vehicle to your specifications, or if you plan to log a significant amount of mile annually. Give our Jeep dealership a call to learn more! Tackle any terrain in a rugged and nimble Jeep Renegade from V-W Motors. With a Jeep lease in Cooperstown, ND, you can get behind the wheel of a smooth-riding Jeep Cherokee, a crossover SUV good for the town and great on the back roads. The Jeep Grand Cherokee will tow the boat in luxury and comfort, and still perform like a star in the mud, while the Jeep Wrangler is your go-anywhere, do-it-all SUV for wherever your next adventure takes you. Swing by our Cooperstown, ND Jeep dealership to go for a test drive today! Looking to own your off-road machine? Apply for Jeep financing from V-W Motors. Get started by exploring our online tools to estimate your payments and find the estimated trade-in value of your current vehicle. Our expert finance team in Cooperstown, ND, will create a customized finance plan that fits your budget and your lifestyle. Give our team a call to get started today!